I finally convinced my daughter to let me add a gold mirror above her bed. A few days ago I decided to gold leaf a thrift store mirror I had laying around. It's hard to take photos when it is pouring cats and dogs outside. Still need to figure out how to switch lenses. Looks great - I love the combo of chocolate brown and gold! 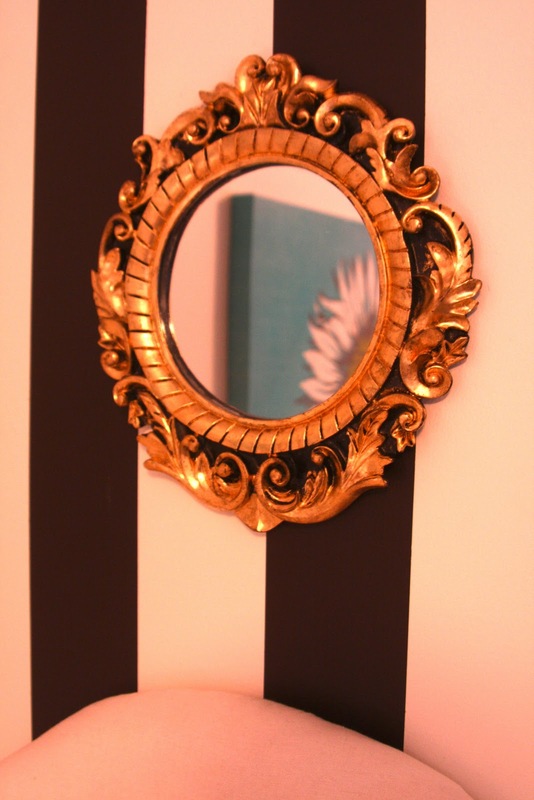 Gold leaf always looks so elegant on intricately designed mirrors and frames. Perfect. The weather never cooperates with my photo-taking either. 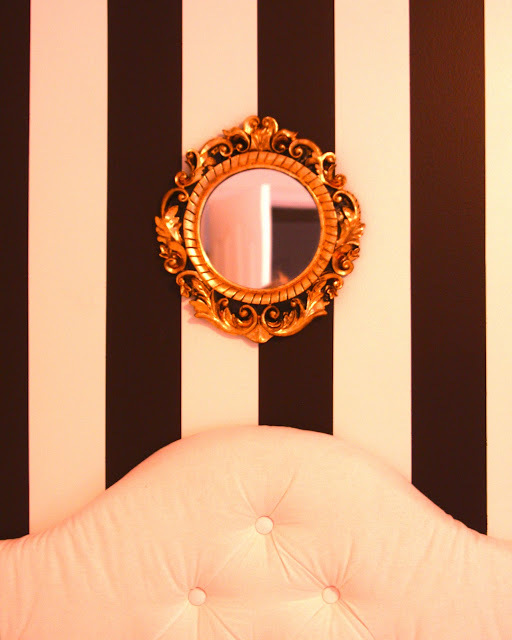 LOVE the mirror - the gold looks sharp against the crisp stripes. So funny. I just painted a gold mirror black. Soooo, when are we getting the full reveal of this room? I love it! It looks so beautiful and that headboard! Wow! OMG the mirror looks amazing. I love the fine details of it. You gold-leaf'ed that?? Well DONE!! Good Job...amazing little bit of grown up style!